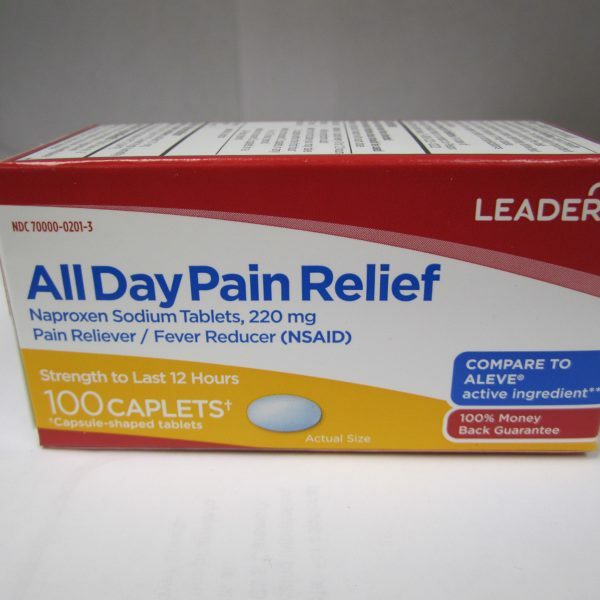 Naproxen Sodium Tablets, 220 mg. 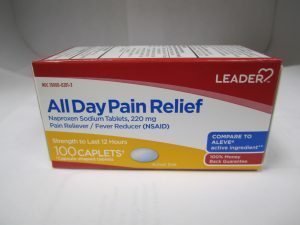 Pain Relief / Fever Reducer (NSAID). 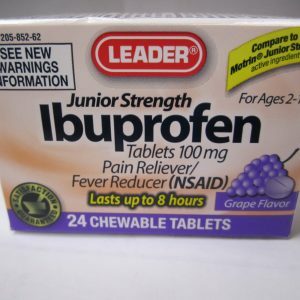 Temporarily relieves minor aches and pains due to: minor pain of arthritis, muscular aches, backache, menstrual cramps, headache, toothache, or the common cold. Temporarily reduces fever. Do not take more than directed.The smallest effective dose should be used. Drink a full glass of water with each dose. 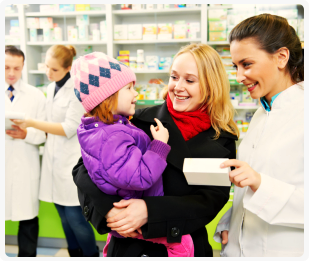 Adults and children 12 years and older: Take 1 caplet every 8 to 12 hours while symptoms last. 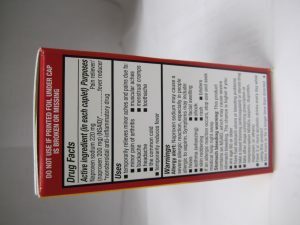 For the first dose you may take 2 caplets within the first hour.Do not exceed 2 caplets in any 8- to 12-hours period. 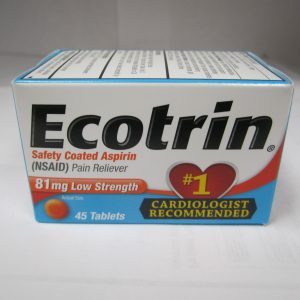 Do not exceed 3 caplets in a 24-hour period. 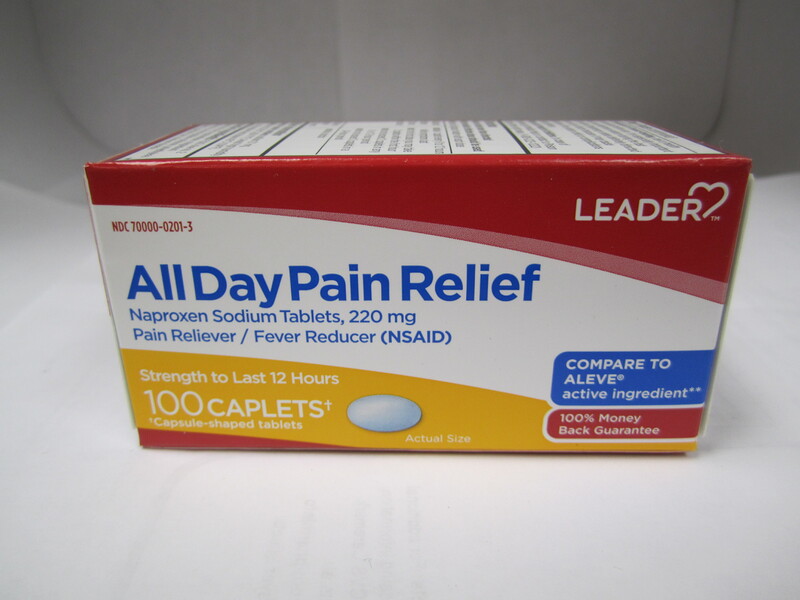 Allergy alert: naproxen sodium may cause a severe allergic reaction, especially in people allergic to aspirin. Symptoms may include: hives, facial swelling, asthma (wheezing), shock, skin reddening, rash, blisters. If an allergic reaction occurs, stop use and seek medical help right away. 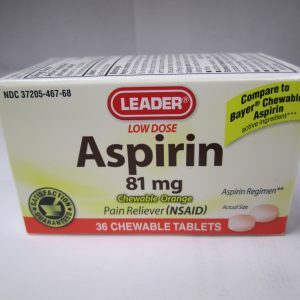 Stomach bleeding warning: This product contains an NSAID. which may cause severe stomach bleeding.The chance is higher if you: are age 60 or older, have had stomach ulcers or bleeding problems, take a blood thinning (anticoagulant) or steroid drug, take other drugs containing prescription or nonprescription NSAIDs (aspirin, ibuprofen, naproxen, or others), have 3 or more alcoholic drinks everyday while using this product, or take more or for a longer time than directed. Do not use: if you have ever had an allergic reaction to any other pain reliever/fever reducer, or right before or after heart surgery. Ask a doctor before use if: the stomach bleeding warning applies to you, you have a history of stomach problems, such as heartburn, you have high blood pressure, heart disease, liver cirrhosis, kidney disease, asthma, you are taking a diuretic, or if you have problems or serious side effects from taking pain relievers or fever reducers. Ask a doctor or pharmacist before use if you are: under a doctor’s care for any serious condition or taking any other drug. 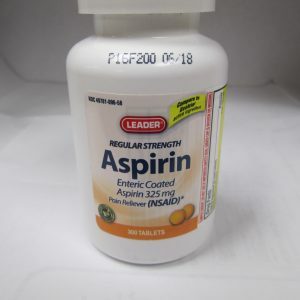 When using this product: take with food or milk if stomach upset occurs.The risk of heart attack or stroke may increase if you use more than directed or for longer than directed. You experience any of the following signs of stomach bleeding: feel faint, vomit blood, have bloody or black stools, have stomach pain that does not get better. 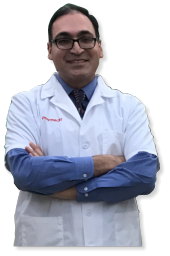 Pain gets worse or lasts more than 10 days, fever gets worse or lasts more than 3 days, you have difficulty swallowing, it feels like the pill is stuck in your throat, redness or swelling is present in the painful area, or if any new symptoms appear. If pregnant or breast feeding, ask a health professional before use. It is especially important not to use naproxen sodium during the last 3 months of pregnancy unless definitely directed to do so by a doctor because it may cause problems in the unborn child or complications during delivery.